Coastal living at its best! Few units in award-winning Harbour Isle have this gorgeous, double water view! Beautiful unit offers spectacular sunset views over the lagoon and Anna Maria Sound. From the 3rd floor observatory, enjoy expansive water views which even include a glimpse of the Sunshine Skyway Bridge. Entertaining will be delightful in this bright open floor plan that includes living room, sunroom, dining room and a kitchen with stainless appliances, premium cabinetry, granite counters and a large island. The master retreat features water views and a luxurious master bath. Two additional large bedrooms (one is currently used as a den, but can easily be converted to bedroom) and three full bathrooms offer relaxed and spacious living. Home is LEED certified and has a large two-car garage and a private elevator. The charming unit features coastal colors, tile and hardwood flooring, shutters and premium blinds. Community amenities include the exceptional Beach Club with Sky Bar, fitness center, pool, large hot tub and sandy beach all on Anna Maria Sound. Other amenities include heated pools, numerous gathering areas, cabanas, hammocks, outdoor grills, kayaks, fire pit and more. All of these amenities are surrounded by miles of walking trails. In addition, a new state-of-the-art Marina is scheduled to open soon. 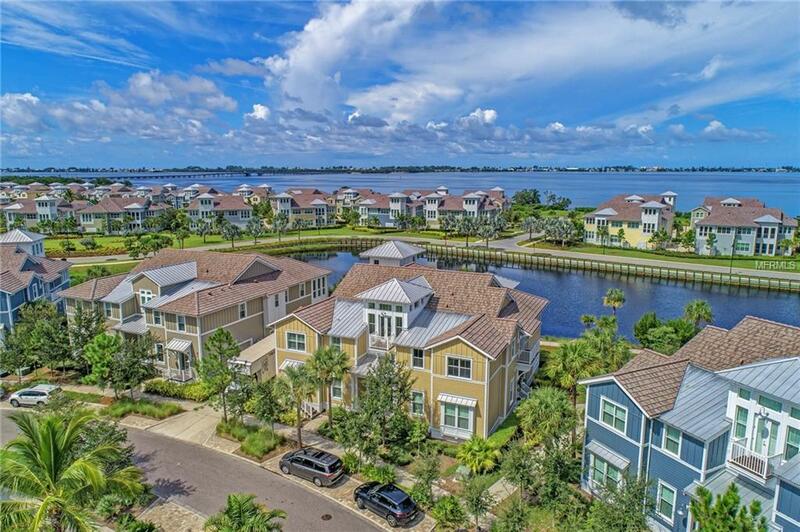 Harbour Isle is located a mile from the sandy beaches of Anna Maria Island and minutes from kayaking, walking trails and bike paths in the natural beauty of Robinson Preserve.